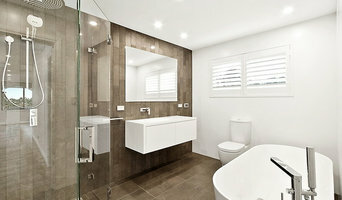 Peninsula Contemporary Bathrooms are one of Northern Sydney’s favourite bathroom renovators. Based in Frenchs Forrest, we’ve created stunning new bathrooms for many Sydney clients. With over three decades of experience remodelling old bathrooms into modern masterpieces, our team are trusted to deliver quality time and time again. At Peninsula Contemporary Bathrooms only electrical and plumbing work is contracted out, all construction and design is completed by our in house registered builder. This means you get to deal directly with the team actually doing the work, so no information’s lost in translation. We find this constantly delivers the best results for our clients. During your bathroom renovation, we can supply all the building material and fixtures, or we can work with the tiles and fixtures you’ve already picked out. Our team adapt to your needs throughout the build, it’s all part of our excellent customer service. If you already have a design or need some help bringing your bathroom ideas into reality, then we’re the builders for you. We provide free quotes on all our bathroom renovations. At Kellyville Kitchens, we have over 20 years of design experience helping people create beautiful kitchens, bathrooms, laundry rooms and home offices for today’s lifestyle. We service the Greater Sydney metropolitan area, the Hills District and North Sydney. As multiple small business award winners, we’ve built a solid reputation for outstanding quality, value and performance. This, coupled with intelligent design, service, and excellent workmanship are the reasons we can build you a kitchen of which you will be proud. When working with us, we take the worry out of the renovation by managing the build. Visit our showroom today so we can go over your project needs and wants! We are OPEN 7 DAYS A WEEK! Monday to Saturday: 9 am – 5 pm, Sunday: 10 am – 4 pm. Creative Bathrooms & Interiors was founded by John and Carmel Vicchi. With over 25 years experience we specialise in three of the most active rooms in the home: the Kitchen, Bathroom and Laundry. Specialising has given us the expertise to serve your design and remodelling needs with the highest standards of professionalism. Because the marketplace for kitchens and bathrooms is constantly changing, we are always aware of the latest trends, and can recommend the most effective design and remodelling options to our clients to suite their budgets. We become partners with our clients, listening to their input and making recommendations. Together, we achieve the result of a beautifully remodelled Kitchen, Bathroom and Laundry that our clients will enjoy for a long time to come. As experienced professionals, we provide innovative design techniques and state-of-the-art products. Our clients have the peace of mind knowing that the completed project not only adds value but harmonizes with the rest of their home. Creative Bathrooms & Interiors business philosophy is based on a passion for delivering excellence and complete customer satisfaction. Vivid Bathrooms started originally as a one-man operation in Sydney. Today, we're a family owned and operated business, specialising in bathroom renovations. George is your dedicated project manager who will work with you to understand your needs and desires with the bathroom. He understands and routinely implements the designs principles which form the basis for a beautiful functional bathroom. Once he understands what you want, he will then coordinate and schedule the rest of the team in order to deliver your bathroom on time. Honesty, integrity and commitment to the task at hand are what we value most and we hope this shines through in our service to you and is reflected in the finished renovation. If these are values you share, by all means, please get in touch with us and we can discuss further. Brindabella is a full service design and renovation company under the direction of Certified Bathroom Designer and Licenced Builder, John Spiteri. John has more than 30 years experience in the kitchen, bathroom and home renovation industries. John and his team offer a design-only service as well as full project management services. Brilliant Design Concepts offers complete interior design and construction services for renovations within the Sydney area. Starting with a basic design concept, we elevate new spaces by working with each individual client to determine what design solutions will work best to suit their lifestyle. Our design specialty is kitchen and bathroom renovations. Once the joinery is selected, we can then move forward into the rest of the interior renovation. By project managing, we are able to ensure all aspects of the project are completed properly, on time and on budget. Process: Initial Consultation - Determine the function of the room/s, layout options, aesthetics, your must-haves - We will outline the scope of works for the design and the associated fees which is based upon the estimated amount of working hours of the project. - Our initial consultation fee for an on-site meeting to discuss the scope of work and explore the project capabilities is $275 (Including GST). Proposal Agreement - We will present you with a client proposal agreement that will outline the scope of work for the design and the associated fees. Design Concept - Produce concept drawings for your project to encapsulate your individual requirements. We explain our thinking behind the design and present our concepts and recommendations. Design Development - Any necessary modifications are made to the design, prior to providing the final quotation, all drawings and specifications including finishes and fixtures are finalised. - A site meeting with relevant trades will be required to establish costs associated with the project. Final Design - A complete specification, schedule and scope of works for the project are then issued including a detailed quotation. - A proposed timeline will be discussed and determined. - Final approval and sign off of all drawings and specifications and an initial deposit of 10% depending on the total project cost. JG Bathroom Renovations & Design specialists. With 25 Years experience & located on Sydney's Northern Beaches. Quality bathroom renovators, Designers, specialising in all aspects of Tiling and Building Services. Total Bathroom Centre has a strong working relationship with designers and architects to assist their clients by offering their expert advice. Contact them today and organise an obligation free consultation and quote. The staff at Total Bathroom Centre can offer professional bathroom design advice, colour consultation, advice on choosing the perfect tiles, cabinetry including vanities and are able to organise the entire renovation. Total Bathroom Centre stocks the very best in Australian and European bathware including custom furniture for bathrooms and laundries, as well as a large collection of stone, ceramic and porcelain tiles. The team can manage the supply and installation of all fixtures and fittings. We stock quality brands that include Astra Walker, Avenir, Forme, Gessi, Hansgrohe, Kaldewei, Linsol, Marblo, Parisi, Paco Jaanson, R.A.K, Timberline, Victoria & Albert, Warmtech, Velux, and Zucchetti. There is also an extensive range of stone, porcelain and ceramic tiles to choose imported from Italy, Spain, Argentina and Turkey. Total Bathroom Centre is where dreams are transformed into reality. Pietra Bianca is a manufacture of fine hand made stone bathroom ware, with a huge range of designs and colours available also custom products can be made to order. Peter Fyffe is a qualified builder and home renovation specialist with over 30 years experience in the residential building industry and still works on all of his projects. We specialise in home renovations including bathroom and kitchen renovations. We have an entire team that works on your renovation from beginning to end. We can confidently guarantee that we will provide you with an honest and efficient service; quality workmanship by highly skilled tradesmen, a fixed price contract and above all, peace of mind that your project will be handled with care and supervised by a licensed builder. From our initial meeting with you we will work with you to ensure that your ideas become a reality all within your budget. We are able to assist you from beginning to end and can provide you with extra design and decorating assistance if you need it. Our goal is your total satisfaction and value for money. At Donrose Building we are known for our reputation of being highly skilled and professional luxury home builders with an attention to detail and customer service that exceeds all expectations. Austile Ceramics is a family owned and operated business in the Sydney area, We have been servicing the renovation sector for over 15 years, We have over 30 years industry experience. We supply to both domestic and commercial clients from all over Australia. We can supply and install all our products. We have licenced and insured tradesman to carry out all renovation requirements. 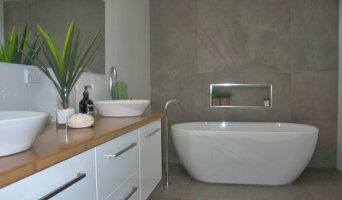 We also carry out complete bathroom renovations. Please contact us for any questions or requirements that we will be more than happy to help you with. With an eye for aesthetics and a practical approach to layout and design, Mortdale, New South Wales bathroom designers and renovators can help you create a well-planned space that suits both your needs and personal preferences. Many bathroom renovators in Mortdale, New South Wales offer a full-design service, from concept to completion. This includes accessing the homeowner’s wants and needs to ensure they provide a functional layout and design that is also attractive and blends in with the rest of the home. In addition, designers have a wealth of knowledge in product trends, materials and finishes, and can take the hassle out of deciding upon and sourcing accessories and hardware. Find a bathroom renovator on Houzz. Scroll through this page to find the best bathroom renovators in Mortdale, New South Wales. Browse photos to see how their work compares to the scope of your project, read reviews to see how others rate their work, and message them directly to to ask any specific questions.